C!SN 8.30.15: Kolache Republic, Urban Scrawl, Weiland’s Market, Colin’s Coffee, and Vaughan Music Studios. 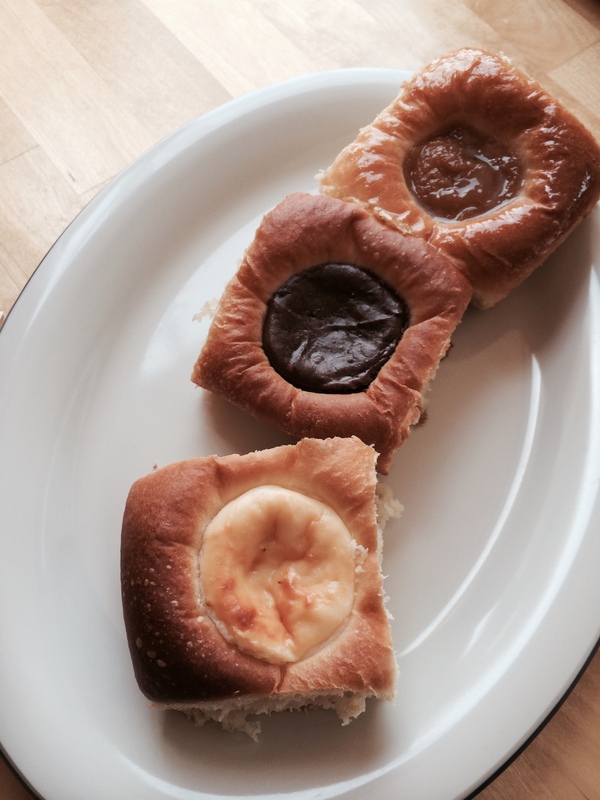 On Saturday morning we revisited Kolache Republic located on S High in German Village. Peach kolaches were on the menu for the first time of the season, and yeah us, we got one! and a sweet cheese (think cheesecake) and chocolate. These are great to share, take to a nearby park, or sit by the window and watch the world go by! It does not matter, just so you have a kolache or two! Rick greeted us while we were there and, just like many of the small business owners we meet, is a very friendly person who really seems to enjoy what he is doing! 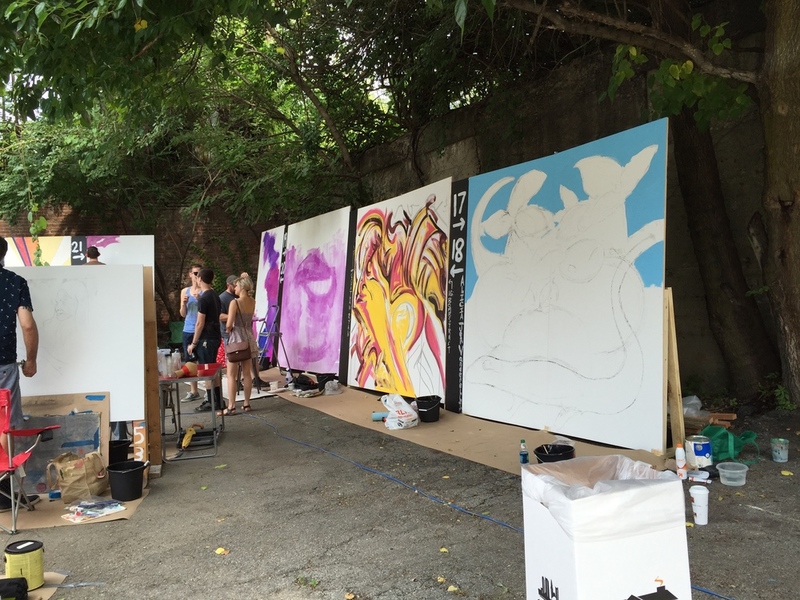 We left there and drove to Franklinton to check out the beginning of the Urban Scrawl. This was held in the out door area of 400 W Rich. Think of many artists with full sized canvases creating murals. The Urban Scrawl is a two day event and we were only there for a blink of the eye! Long enough to say hello to Alex of OH! Burgers and chat with CD 102.5! There was also a real neat parklet set up in the center of the venue! Check out the Columbus Parklet Project! Onward with the day! 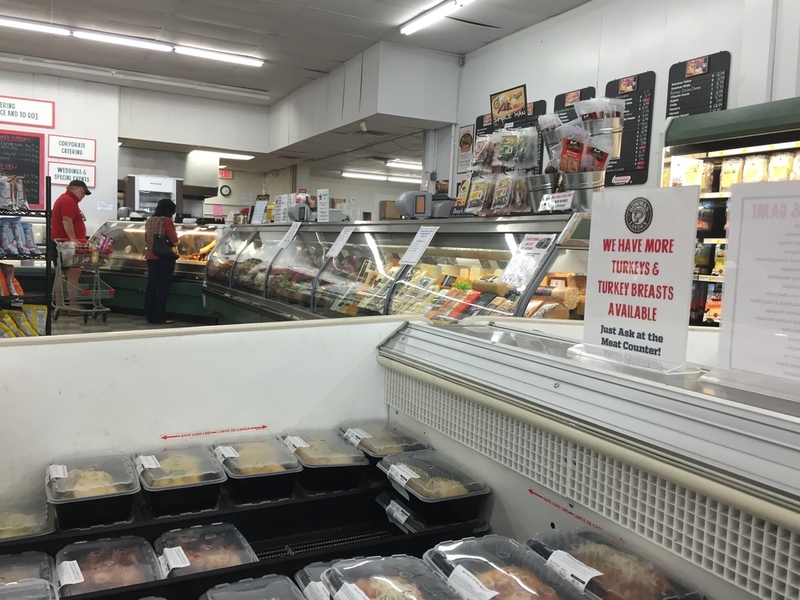 We met with Jennifer Williams, owner of Weiland's Market. It was nice to talk with an owner of a independent, family owned market. Listen to the podcast for the full interview! We definitely share common values as far as supporting local! Jennifer showed Burke and me around the store pointing out all the local food on the shelves, from cheeses to soda pop! Follow Weiland's Market on Facebook for up coming events! Thank you, Jennifer, for spending time with C!SN! Sunday, Burke and I met with Jessica, our new operations volunteer at Colin's Coffee on Fishinger and Riverside! Jessica has listened to our podcast for months now and offered to give us a hand with the operations side of this amazing hobby turned lifestyle! We look forward to all in store for us! And Colin's Coffee is a terrific place to catch a bite to eat and some coffee or tea to drink! Just like when we interviewed Sumukh on the patio at Colin's Coffee, we did the same with Jessica. This time - No birds! Burke remembered to take his Colin's Coffee travel mug back with him and enjoyed his coffee refill at a discount! Support local and head over to Colin's Coffee! Right up the street from Colin's Coffee is Vaughan Music Studios where we drove for their open house. We were not sure what to expect, but being very curious, and having an interest in audio production, decided to check them out! After being warmly greeted by staff and volunteers, we spoke with owner, Cindy Vaughan. After some discussion, I, Amy, am a member and will have voice classes! No, not singing voice, but speaking voice. While Burke can talk without fatigue, I am not quite so blessed! I am quite sure, after these classes, I will have a strong and pure voice!